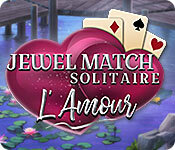 Jewel Match Solitaire: L'Amour is rated 4.7 out of 5 by 31. Rated 5 out of 5 by Bumbles2 from Need to relax ? Try this one...incredibly relaxing !!! I loved every minute that I played. It's beautifully relaxing. I also loved the story behind this game...very romantic !!! Great game to relieve the stress...loved it !!! Try the demo and you'll see what I mean !!! Have a great day all !!! Rated 5 out of 5 by navajoeyes2 from beautiful scenes + fun The scenes that you create are beautiful and you can make them your wallpaper at the end. The beautiful colors in the flowers and butterflies, the landscapes, special effects, etc. It is a very relaxing game of solitaire. Whether you are playing the regular game or the hard level. When you get a heart in a game but you don't paly all of the cards, you still get to keep it, which is nice, unlike other games you have to start all over with every thing The mahjong games rather busy with the graphics that were chosen to use, they should have been something in the romantic way not musical notes etc. The designs can drive your eyes a bit batty, they tend to blend in. Rated 5 out of 5 by KatRoy2 from awesome Final a pretty scene and game for females, the very best. PLEASE keep them coming. Rated 5 out of 5 by cowzers from Great solitaire game The solitaire games are interesting and the artwork is beautiful. There are 200 levels to play and mahjongg bonus games. My only criticism is I wish the mahjongg games had a choice of tiles. I love this game! 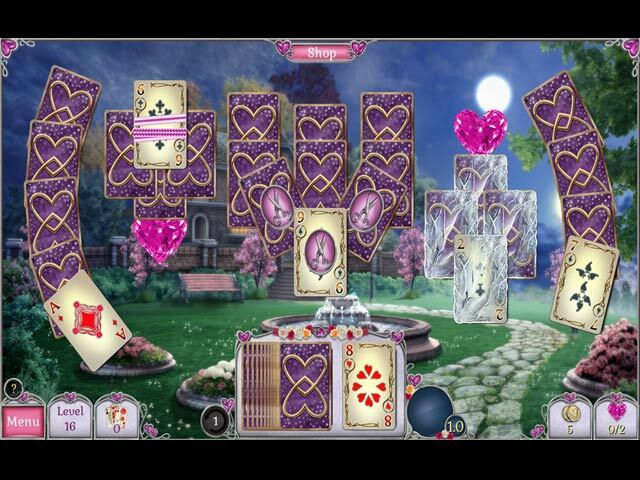 Rated 5 out of 5 by Kimmycoo from I am in love I am in love with the Jewel Match Solitaire games. They are so detailed, so perfectly challenging, so creative, so amazing...Ahhhhh, I cant wait for the next one. If you love Solitaire, you MUST own this. I also loved the Mahjong on this too. The scenes you build were just heavenly, breathtaking. You can see the detail they have put into this, it must have took years to do, which it probably didn't, but just sayin'. I loved the little hearts animation on the lady and the man in one of the scenes. The only thing I wish is that you guys would let us keep the wallpapers on our hard drives, instead of setting the background to whichever we save, after you delete the game, you cant choose between the backgrounds and that is disappointing. I want to save all of them to hard drive. I hope the developers do many more of these, for all occasions, for any occasion. Ill always look forward to these and Ill always buy them. I thought Jewel Match Twilight Solitaire was my fav until I played this one. THANK YOU DEVELOPERS! 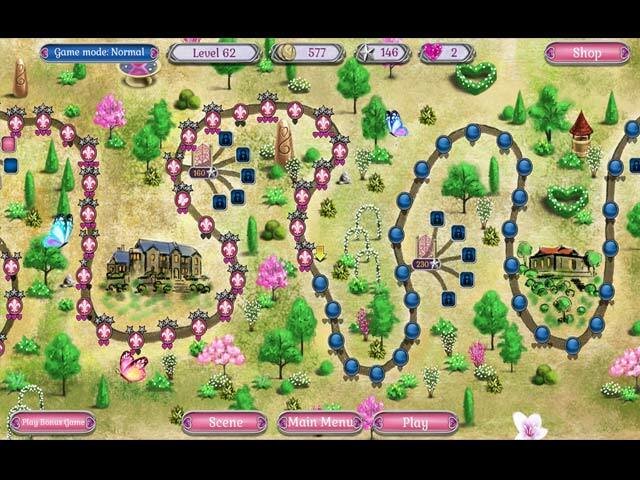 Rated 5 out of 5 by QueenBigFish from PINK, HEARTS, CASTLES & MOVIE STAR! 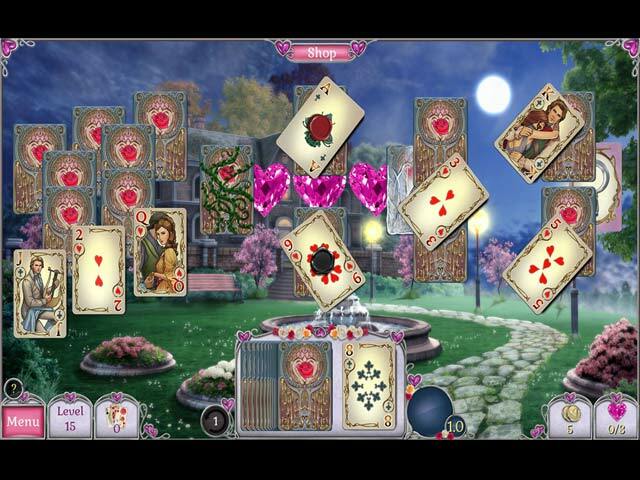 I really enjoyed Jewels Match Solitaire Halloween game that when I saw this Jewel Match Solitaire L'Amour it was an instant purchase!! No need to do the trial. It has everything I want and needs for my Valentine's Day Anniversary celebration. I have pink hearts, soft music, ribbons, and even the decorated cards have the younger version of Clint Eastwood (Paint Your Wagon) as the King. What more could I ask for! All that's left out is the endless supply of chocolate. I guess I will leave that for my hubby to buy. LOL This is definitely will be and is my favorite game. I HEART IT!!! Rated 5 out of 5 by Starswim from Beautiful Delight This game is a beautiful delight to the senses, so nice to experience a game of beauty- an escape from grisly dark stuff. So nice to chill out at the end of a day's work and feel the magic of this game smooth out the roughness of the day and make you smile. It's a relaxing balm - revel in it! Rated 5 out of 5 by splash1234 from A beautiful game! This is such a pretty game! The cards are beautiful and the graphics are fantastic and I love that you can use the pretty jewel hearts to buy landscape. So Pretty. Some of the other games you can buy the castle but this one has the landscape. You can also play bonus games of Mahjong, it would be nice though if the Mahjong games weren't timed. But I do also like Mahjong for the extra points.. Also fun. The music is nice to. Its a relaxing game to enjoy. There are power ups you can also buy. Perfect for Valentine's day with the hearts and all the pretty cards to choose. A great game to play!! I love all the Jewel Match games they have! !